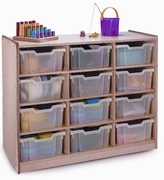 This sturdy Birch laminate Gratnell storage cabinet comes complete with twelve clear storage trays. The trays make it easy for kids to pull them out and put them back; the rigid plastic stands up to years of hard use. 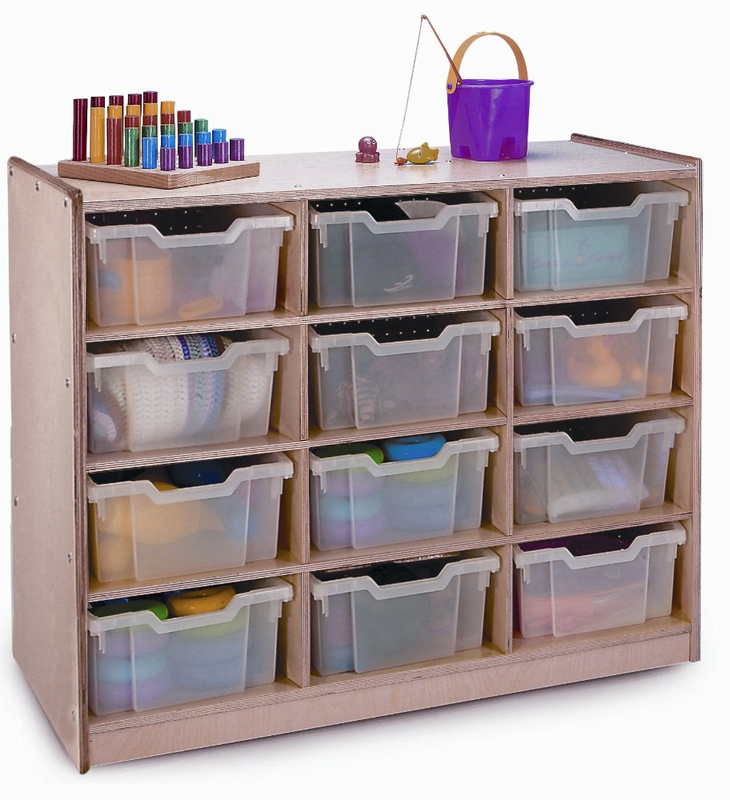 The trays are stackable during playtime and then store easily in our beautiful storage cabinets - fitted with castors so they easily and conveniently go anywhere. GreenGuard certified. Made in USA. Truck from NH.